Dead mouth the clown may not speak any words, but his face says it all! 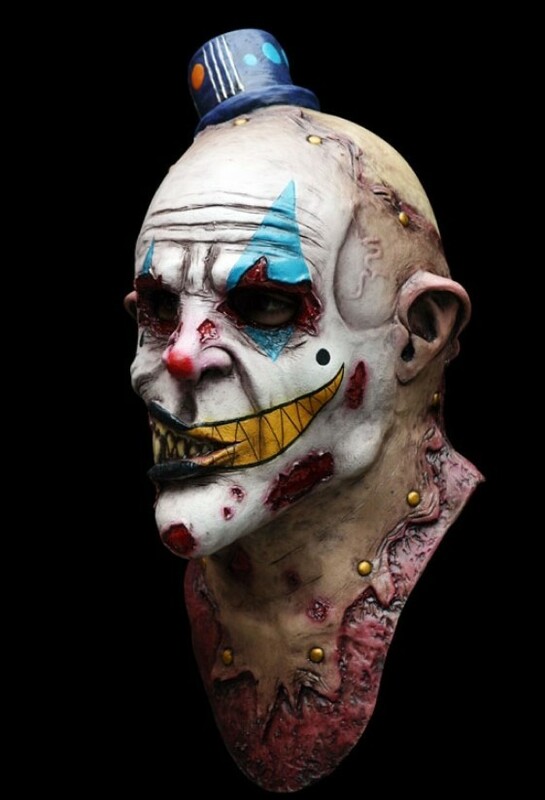 This is a full latex Halloween horror mask that covers the front and back of head and extends on to the chest. One half of his mouth is eaten away and his teeth are exposed, his deep rotting skin looks as though it is riveted on, and one of his eyes are gouged out (Gauze covers means you can see out but they can not see in)..... apart from that he's a pretty normal clown available for childrens parties maybe?